We happily admit it: here at QuestionPro Audience, we are research and data nerds. We love to know the latest research, and if it’s in an informative and easy-to-read infographic, even better! We’ve compiled this week’s best infographics, for your reading and visual pleasure. Enjoy! 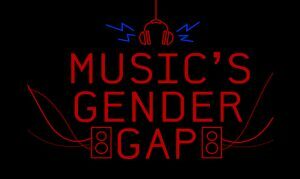 Last.fm compared their listening data to awards and festivals from the last 16 years to find out if female artists are being rewarded as much as they are being listened to. The results were disappointing, to say the least. Confidence is the key to success. 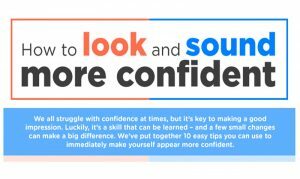 While some of these seem obvious (like your mother always told you, “stand up straight!”), it’s good to take a reminder course in projecting confidence. Work hard, play harder! From sports to culture, this is a must-read for anyone who loves to have fun. 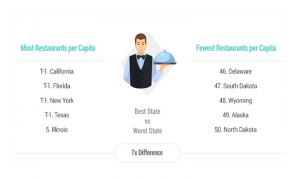 Even better, WalletHub compared the 50 states across 26 key indicators of a good time that won’t break the bank. 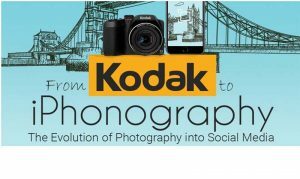 If you’ve ever wondered about the history of the camera and film, and how it paved the way for the digital world we currently live in, this stylish infographic is for you. 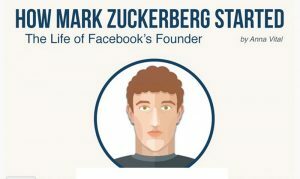 You know you’ve made it big when you’re worth $64.1 billion…orwhen someone creates an infographic of your life. Either way, it’s an interesting read. More than 90 percent of information transmitted to the brain is visual. Furthermore, visuals are processed up to 60,000 times faster in the brain than text. When working with a lot of heavy data like we do at qSample, we understand the importance and benefit of presenting data in a visual manner. Relaying and communicating data through a visual context involves the use of a variety of visual elements, such as drawings, illustrations and electronic images. When done correctly, using visual aids to present data will be more effective and easier to retain than simply presenting the data itself. Enter Infographics. Infographics are essentially a means of displaying data and information in the form of a graph or picture. Here’s one that qSample used to present data about Ivy Leaguers! A well designed infographic that speaks to your audience and conveys useful, fun, and interesting information, can get picked up from your website or your social media pages and re-posted multiple times by your social media followers. It goes beyond simply presenting information in an interesting way. Infographics can generate leads, build traffic and advance your brand. It arms your audience with something they can repost and share with friends and increases your presence across the Internet. Ease.ly: This is about as user friendly and simple as it gets. It even comes 2 minute tutorial video highlighting these steps: You pick a theme, then using drag and drop, pick objects, add text, choose colors and arrange everything until it’s the way you want it. One drawback is it doesn’t create charts; for that you can use one of the many free online chart generators. Venngage: Another very user friendly site, Vennage offers the best quality and quantity of templates among the other infographic building sites we’re highlighting in this article. Makes a beginner’s final product look like it was designed by a pro. Infogr.am: This site offers less templates than the others, but it has the advantage of a chart generator so there is no need to import a chart if your layout calls for it. What makes Infogr.am stand out is it can also make charts interactive, a feature not found on most other free services. Piktochart: More versatile than some others, Piktochart offers a lot of templates, shapes, and icons. Especially handy when trying to fit everything where you want it, are the multiple sizes it allows. It’s another drag and drop. Additional features are available in the premium version (gives you access to over 110 themes and over 1,500 graphics), but you can build great graphics for free. A theme. Keep it simple. It should be easy for anyone to identify what your graphic is about given the icons, color scheme, graphics and pictures being used. If you create a graphic which is so complex in nature that it’s like trying to find the hidden picture in a magic eye calendar, your audience will switch off and it’s message will be lost. Make sure you know your audience and tailor the graphic to their taste to increase the chance of viral sharing.